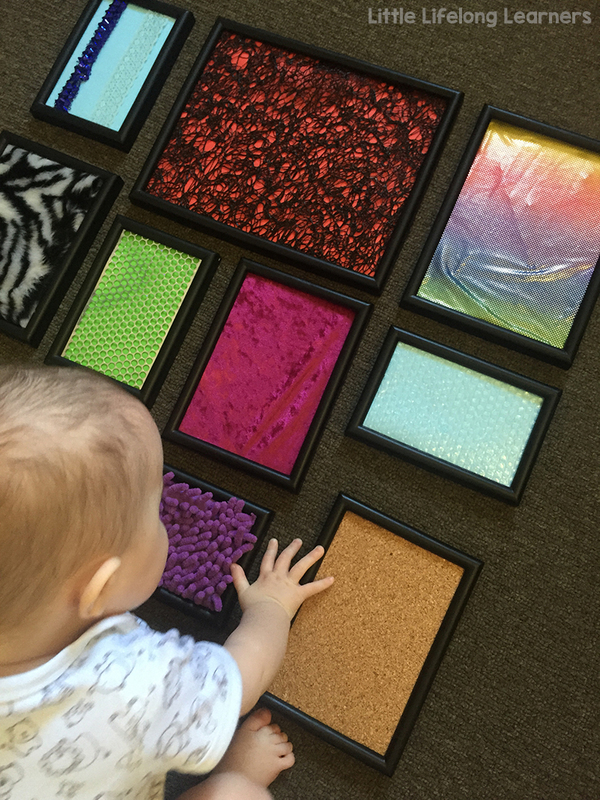 If you’re looking for simple sensory play ideas for babies, you’ve come to the right place. Sometimes it can be tricky to know what kinds of play experiences to set up for younger babies. Today I’d like to share with you some of my favourite sensory play ideas for babies 6 months and under. These activities can be suitable for babies from 3 months to 6 months of age. Sensory bottles are so much fun to create and there are so many different things you can put inside. My favourite for babies would have to be marbles and water! I add a handful of marbles to a bottle with some water (which you can also dye with food colouring) and screw the lid on super tight. You can also add super glue to make sure that lid ain’t budging. 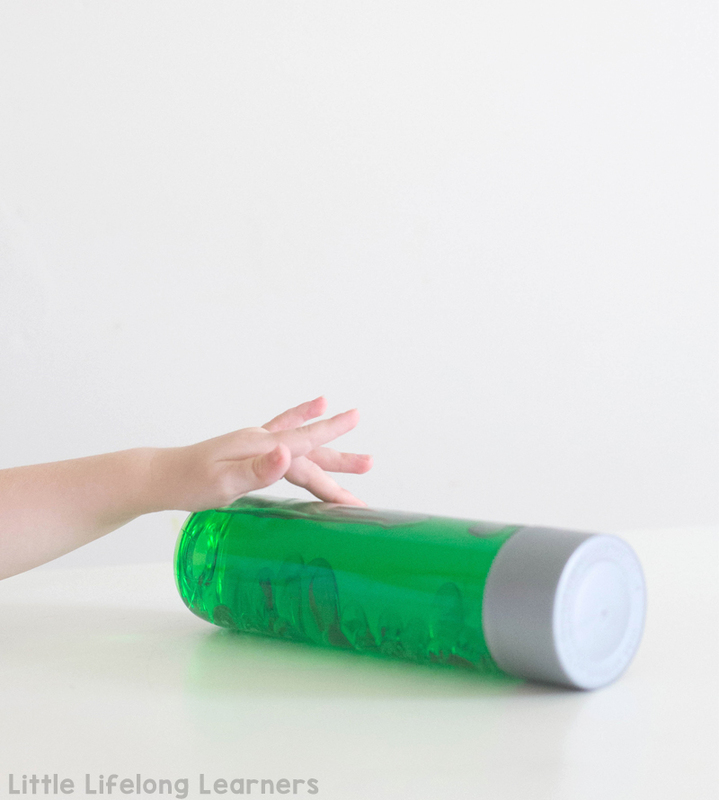 Your baby will LOVE trying to roll the bottle around on the ground during tummy time. It makes the sweetest sound! 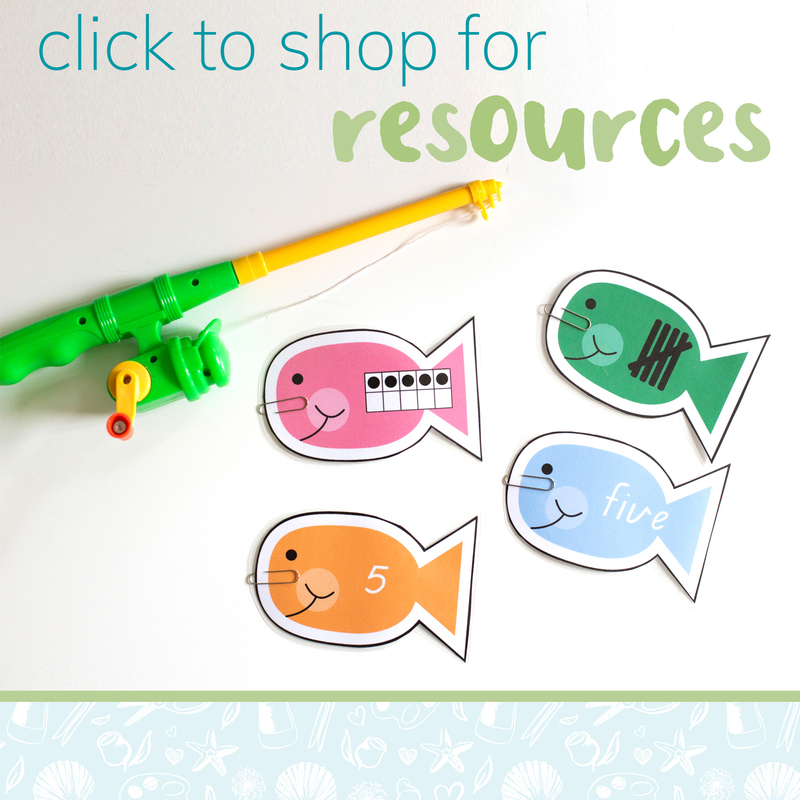 I’d love for you to grab my Sensory Play Shopping list which will give you an entire list of affordable list of resources for getting started with sensory play today! 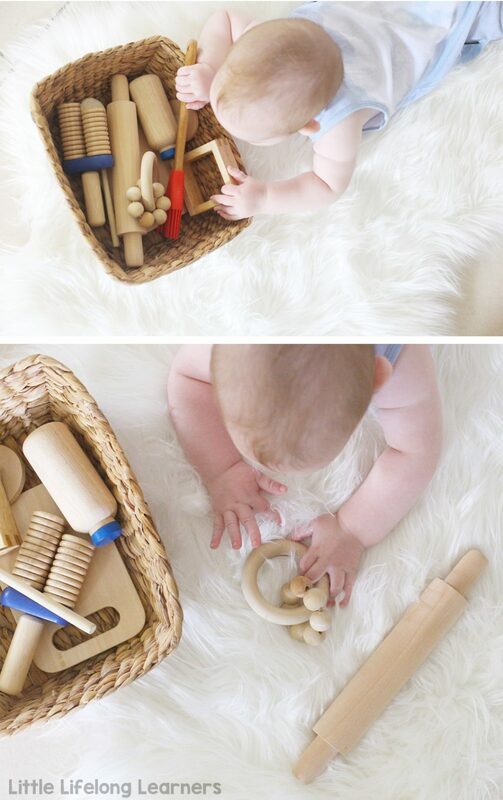 Discovery baskets are a great way for babies to explore using all five of their senses. They can touch and feel different textures and listen to the way the objects move inside the basket. Simply pick a theme and search your house for suitable items that are large enough not to pose as a choking hazard. If it can fit inside a toilet roll, it is probably not safe. For this basket, I picked natural wooden items. I found things in our play kitchen, our real kitchen and around the play room. My 6 month old looooved the wooden teether the best. You can grab one here by Mini Minds Australia. I’ve seen this idea all over Pinterest so it’s something I recently tried with my 5 month old. I added a bottle of baby oil and 1/4 cup of green water to a zip lock bag. I taped it down to the ground with painters tape and popped my little guy down to explore. He absolutely LOVED squashing the water around in the oil. I couldn’t keep my 2.5 year old away either – it was very inviting to everyone including myself. Please note that baby oil isn’t safe for consumption so be sure to either double bag the mixture or use something that is taste safe like cooking oil or coconut oil just to be on the safe side. My little guy pierced the bag very quickly. This was a favourite activity for my daughter when she was younger. Once I had made the frames, I would lay them on the floor for her to explore on her belly. As she got older, I would leave them in a discovery basket or on her shelves. You can read about how to make these frames for your own children here. This is such an easy activity to set up. All you need is a high chair that has a tray with a lip and some plastic balls. Add a very small amount of water to the tray (just enough so that the balls will float) and then add some balls. 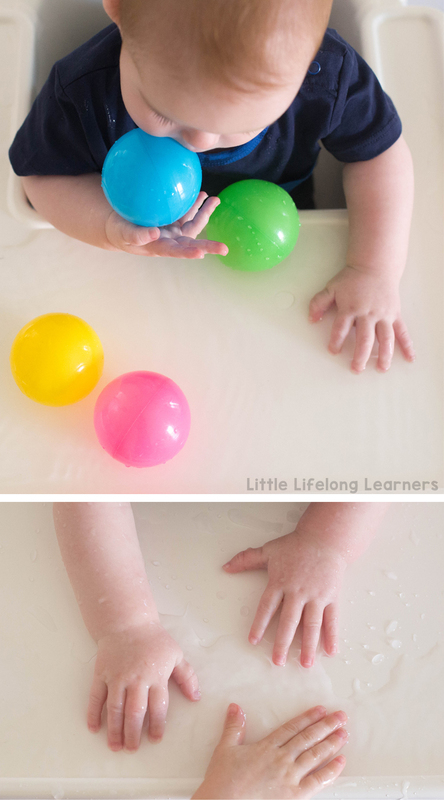 Your baby will LOVE splashing the water and trying to move the balls around. My little one loved splashing the water about and trying to catch the balls. My toddler was very handy because she was able to run and grab the balls that splashed off the tray haha! Please be sure to always supervise your children around water. Even if your baby is very confident sitting, it only takes a second for them to fall. Always, always watch closely. 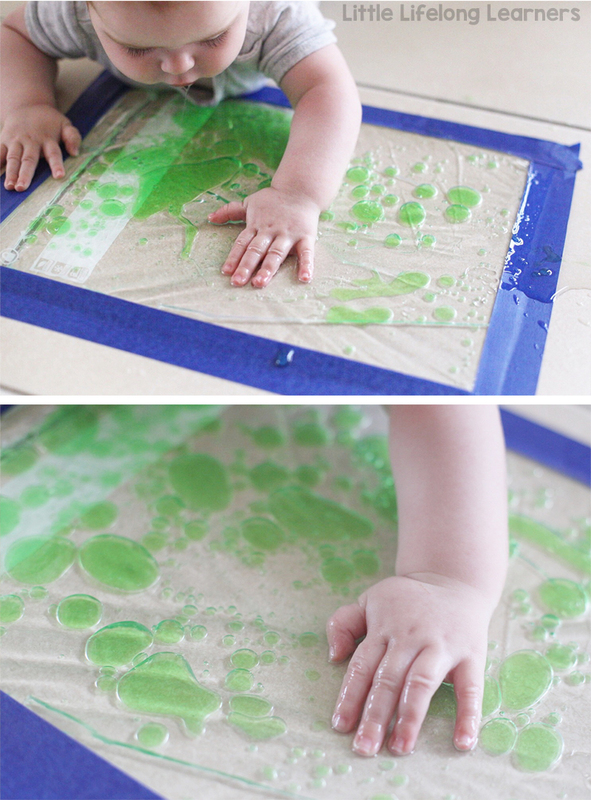 This is such a simple yet very effective sensory play activity for babies. 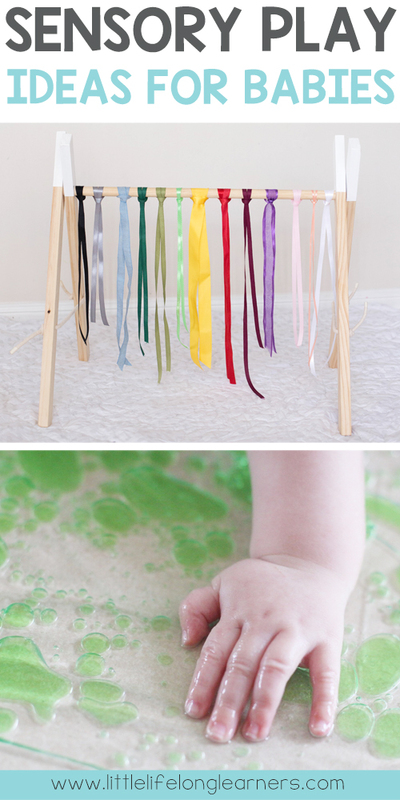 Simply tie lengths of coloured ribbon from either a tree branch, baby gym or even your clothes horse (washing line, drying rack etc) and lay your baby underneath. If you do this activity outside, your little one will love watching the ribbons blow in the breeze. 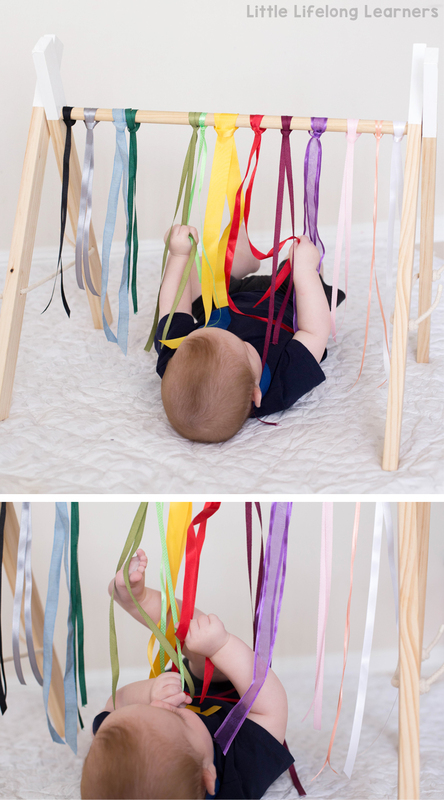 As the ribbon moves, your baby can try to reach and grasp the ribbons which will help to develop motor skills. They will also develop their ability to track objects with their eyes as they watch the coloured ribbons move. It’s so exciting to watch your baby learn about the world around them through sensory play. Not only is it fun for baby, but it’s pretty fun for the parents too. 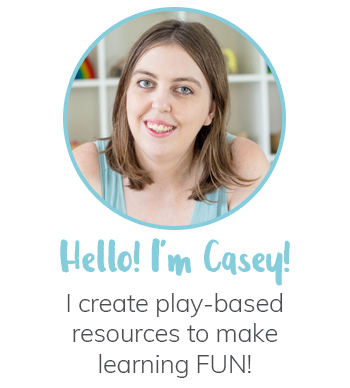 I hope you’ve found some fun new ideas to try with your Little Learners! 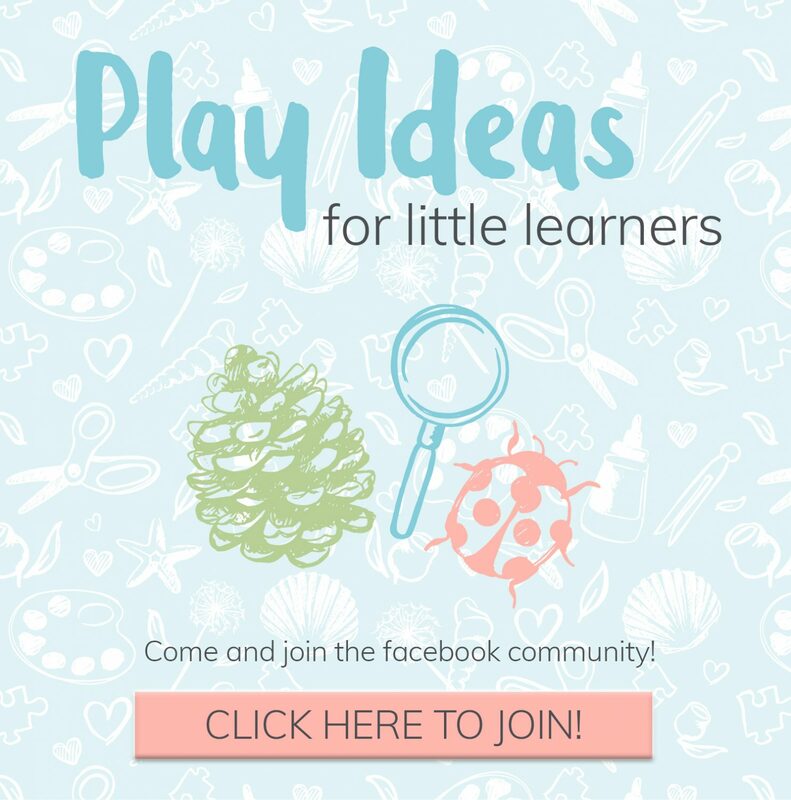 I’d love for you to share your ideas in the comments and over in my facebook group – Play Ideas for Little Learners. I’d love to see you there! I love these! Can you tell me where you got that a frame that the ribbons are tied to? I want one! 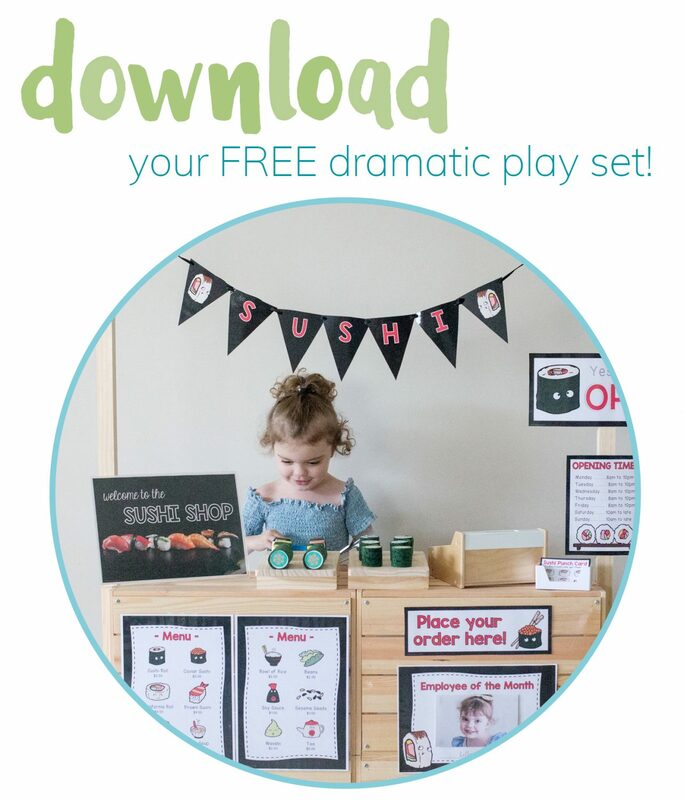 Want to try this freebie?